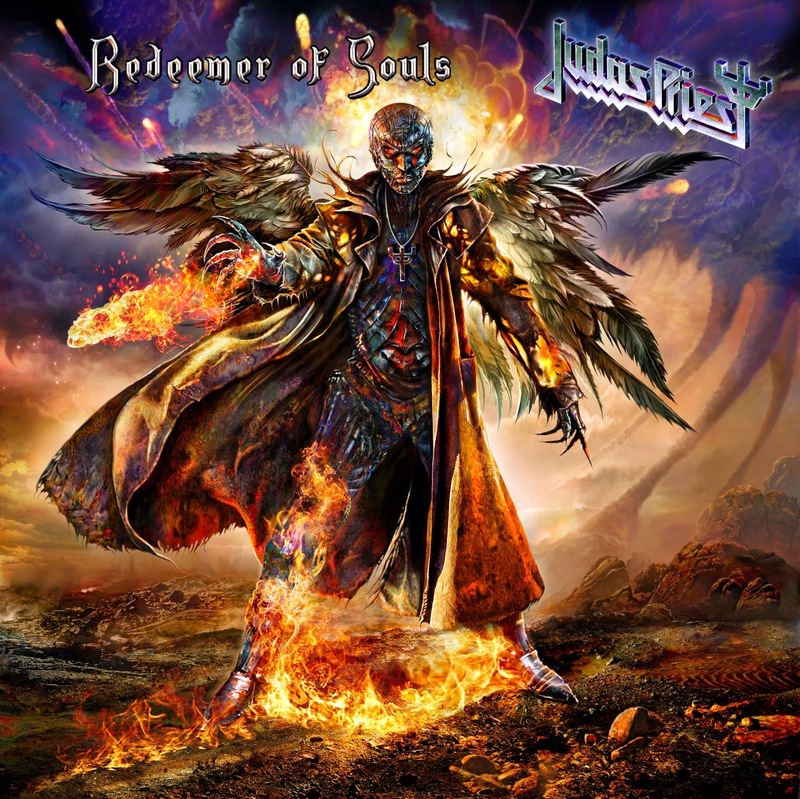 Hall of the Mountain King: Review: Judas Priest, "Redeemer of Souls"
Review: Judas Priest, "Redeemer of Souls"
To say that I didn’t like Judas Priest’s 2008 concept album Nostradamus would be far too kind. In my review of it, I used words like “overbearing,” “self-important,” “bloated,” “pompous” and “boring.” Six years later, we have the follow-up, Redeemer of Souls, and you won’t find any of those words in the review that follows. One of my biggest criticisms of Nostradamus was that it was Judas Priest pretending to be something they’re not. With Redeemer of Souls, Priest gives me, and I’m guessing a lot of other fans, exactly what I want — tight, fast and biting traditional heavy metal. A thunderclap introduces opening track “Dragonaut,” and it seems as though the lightning bolt hit something in the band, electrifying and re-energizing them. If you don’t like “Dragonaut,” you don’t like Judas Priest. It’s as simple as that. There’s a big guitar riff from Glenn Tipton, a great catchy melody and Rob Halford wailing away as only he can. Yeah, maybe the guy has lost a little bit on the high end of his range, but he more than makes up for it in the fire that he puts into these vocals. Priest follows through on the promise they make with “Dragonaut” through the course of the other 12 tracks on the regular portion of the album. There are lulls here and there, but never anything that derails this juggernaut of a record. My personal favorite track — the one that cries out to my inner teenager — would have to be “Sword of Damocles.” Imagine being a 13 or 14-year-old metalhead in the mid-1980s and getting a Judas Priest song that sounds influenced by Iron Maiden. Listening to this tune, it’s easy to imagine. If I’d gotten it in 1986, my head might have exploded. The song opens with this blues-influenced guitar riff that seems out of the Black Sabbath playbook before Scott Travis’ drums come pounding in behind it. Then it moves into a more bombastic phase with a very Iron Maiden-style melody and a huge soaring chorus. In fact, the only thing keeping this from being an absolutely perfect metal song is the absence of a guest shot from Bruce Dickinson harmonizing with Halford on that chorus. Never mind that teenager in 1986, my 41-year-old self’s head might have exploded if they’d made that happen. Perhaps one of the least Priest-like songs on the record marks another favorite, “March of the Damned.” Halford delivers the verse in a somewhat restrained style, and the melody has an upbeat, almost pop feel. 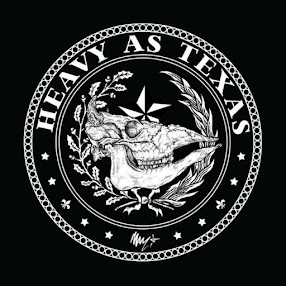 Then comes that huge, climbing guitar riff on the chorus like zombies crawling over one another to get to some fresh meat — one of the best on the entire record to my ears. It’s been stuck in my head since I first heard it more than a month ago, and I still like it just as much as I did then. Then there’s “Crossfire,” which brings back some of their 1970s sound and also plays on so many of the bands like Deep Purple and Led Zeppelin that influenced Priest in a surprising blues-rock mode. The opening moments leave you kind of wondering where this will go, but then the song gets a chunky groove going, and it turns into one of the most passionate performances on the record. Those three songs would be worth the price of the album as far as I’m concerned, but there are seven or eight more that deliver on almost that same level. Redeemer of Souls also features some nice dark moments, too. The clean guitar and soft-sung intro of “Hell & Back” is one, leading into a driving bass riff from Ian Hill and a nice heavy guitar riff from Tipton and Richie Faulkner. It’s one of the more sedately paced songs on the album, but it locks into a fantastic groove and delivers another memorable hook. “Secrets of the Dead” also has one of those clean openings, followed by some flashy guitar that reminds me of the band’s classic work. There’s perhaps a bit of a grungy feel as the song goes on, but it really works. The bonus tracks on the deluxe edition are a mixed bag, as they usually are, but “Snakebite” is worth a mention as the best of the bunch. It really recalls the band’s hard-rock roots in the 1970s, with a feel of maybe something from Rocka Rolla. It’s surprising and tasty. I’m sure there will be fans who moan about the absence of K.K. Downing, who decided to retire after Nostradamus, but if I’m being completely honest, I don’t really miss him when my head’s banging as hard as it can to this record. I think Faulkner, who impressed me on the Epitaph DVD, has a great showing here. While we’d all, I think, love to see the band go out with that same Downing/Tipton twin guitar attack that it made its name with, I don’t think the record loses much with the new team of Tipton/Faulkner. And if you think Halford has reached the age that he can’t impress anymore, check out some of these screams scattered around — on “Halls of Valhalla,” in particular. Perhaps he doesn’t use it as much as he once did, but there are some daunting notes used sparingly throughout. And as I said earlier, the fire he delivers these tunes with more than makes up for it. Albums from bands in the waning years of their career are often anti-climactic. A lot of people will talk about their age and the fact that you can’t teach an old dog new tricks. Redeemer of Souls shows that you don’t necessarily need new tricks if you can perform the old ones with fire, passion and the energy that you put into them 30 or so years ago. I’ve heard some good metal albums this year, but Redeemer blows them all out of the water. Not bad for a bunch of old dogs who aren’t supposed to have any bite left in them. Still Spinning: Warlock, "Triumph and Agony"
Review: Ted Nugent, "Shut Up & Jam"